MiLB.TV options (home feeds for San Antonio, Biloxi, and Carolina; no coverage for Wisconsin). AUDIO via Matt Pauley's WTMJ Brewers 'Extra Innings' Podcast: "The Brewers spent the past week on the west coast, where they were swept by the Angels but took 2 of 3 from the Dodgers in a rematch of last year's NLCS. On this week's Podcast, Brew Crew Ball managing editor Kyle Lesniewski joins the show as he gives his thoughts on the club. 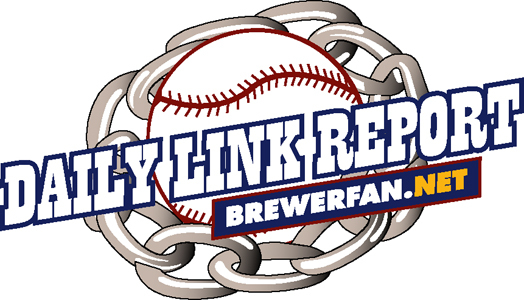 Wisconsin Timber Rattlers Radio voice Chris Mehring also joins the podcast to tell listeners about the Brewers prospects playing in Appleton." For the purposes of this particular forum, the Chris Mehring interview begins at the 36:30 minute mark. I was putzing through Erceg's peripherals so far, and he seems to be quietly having a good start to the season. K and BB rates are outstanding. He has a 190 BABIP and an 882 OPS heading into today, I assume that doesn't count the bomb he already hit today. Has anyone seen anything notably different from him this year? While the sample is small, everything I'm seeing is very promising for him. RHP Marcos Diplan's 40-man roster spot has to be tenuous. He's used his second option this year. Even if he lands in Milwaukee in 2021, he'd have to be up to stay at that point, and the Brewers aren't big fans of non-optionable pitchers. And where have the results ever been worthwhile recently? VIDEO Tweet: "Payton Henry shares his thoughts on being named the 2018 Minor League Gold Glove Award Winner for defensive excellence at catcher while playing for Low-A Wisconsin." AUDIO via the "Chief Talk" podcast out of Peoria: "Peoria Director of Media Nathan Baliva talks with the Wisconsin Timber Rattlers Director of Media Relations/Radio Announcer Chris Mehring about the baseball season thus far. The two veteran radio guys discuss the many games they have called, including ones in major league stadiums. Lots of baseball breakdown in this segment, so get ready!" Since starting 18-9, Brewers affiliates have gone 5-14 since to even their overall mark at 23-23. Good luck to RHP Andrew Vernon, released in spring training after working his way through Tommy John surgery, as he just signed with the independent Frontier League's River City Rascals (O’Fallon, Missouri).